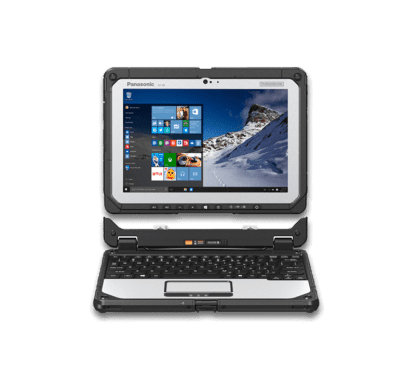 The Panasonic Toughbook® 33 is the first fully-rugged 2-in-1 of its kind—redefining rugged flexibility for those who work in demanding conditions. Toughbook 33 features a groundbreaking 3:2 display, making it easier to handle, while improving readability of the business applications and documents workers use every day. This innovative design also enables backward compatibility with an entire generation of Toughbook 31 vehicle docks. It’s as versatile as your job demands it to be. 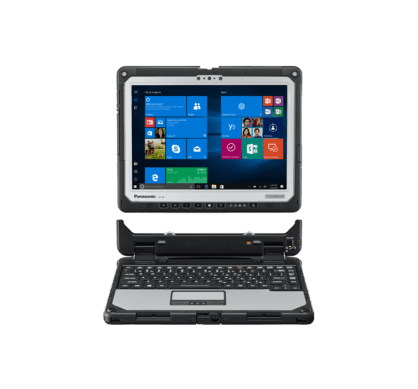 From a brighter 12″ detachable screen with infrared camera for Windows Hello support, to hot-swappable twin batteries and a choice of keyboards—Toughbook 33 is built for maximum mobility. 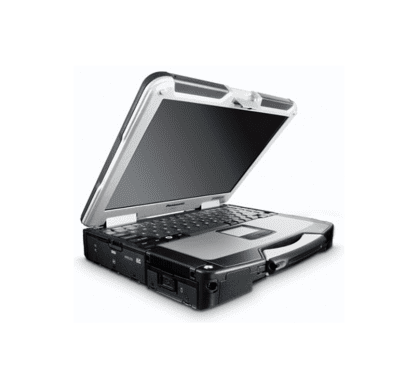 Find the Toughbook 33 with the specific features you need. 1 As of May 2017, when comparing fully rugged 2-in-1 laptops, convertibles, detachables and tablets with an 11.0″ to 12.0″ display. 2 Requires purchase of 31 Vehicle Dock Adapter (VDA). VDA has been tested and approved to work with Gamber-Johnson 7160-0318 and Havis PAN-111/112 vehicle docks. Do not use with other vehicle docks without consulting first with your Panasonic representative. 3 For i5-7300U and i7-7600U models only.